Aloha! I have been mega busy today giving my room a much needed Spring clean! I have switched some things around including my bed which means I now have the ability to take better pictures. 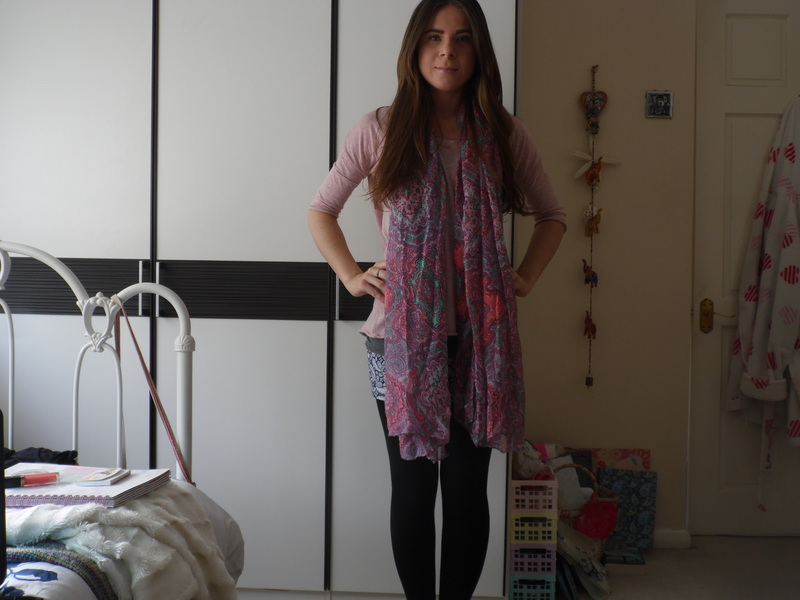 I can now take pictures of my full outfit, instead of those damn annoying mirror pictures! I hope this will help me get my blogging mojo back! So, my first full picture outfit isn’t actually that exciting. It is just something casual I threw together in order to tidy my room. 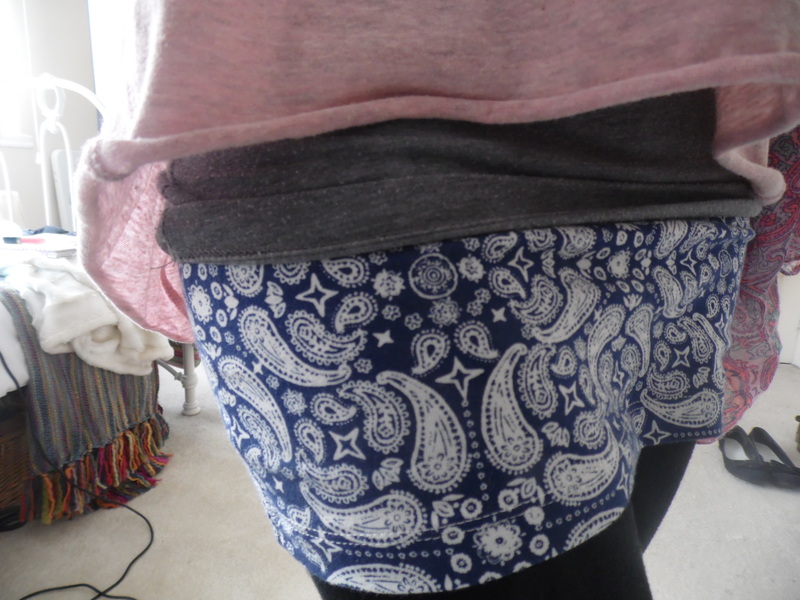 I love the gorgeous print of this skirt. I love the price even more, a mere £3.99 from H&M. 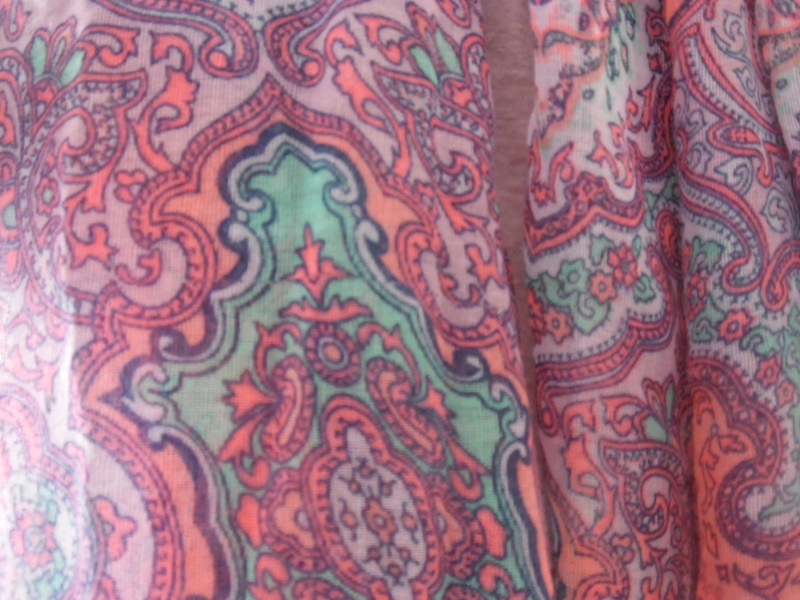 I am also totally loving this beautiful Paisley Print Scarf I bought from Primark. The pastel colours are gorgeous & it only set me back £4.00, I am getting good at this saving thing! 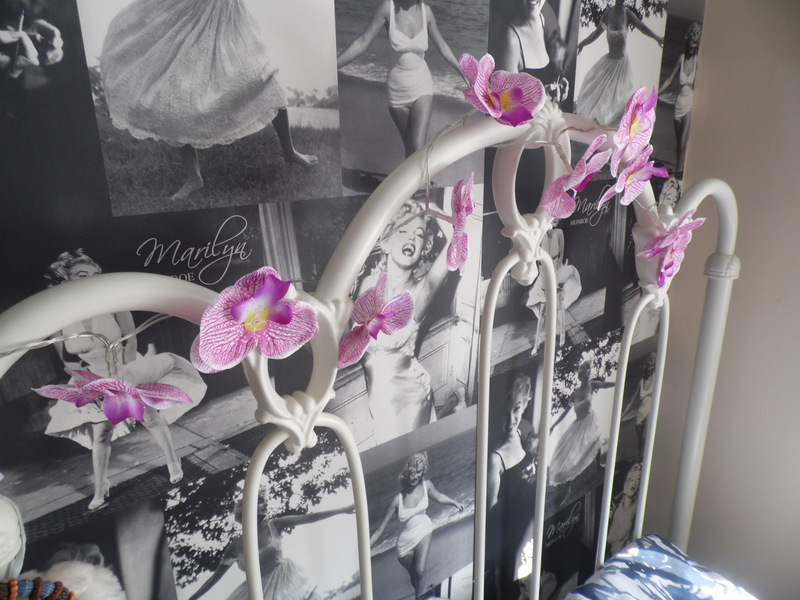 I brightened up my bedroom with these lovely Orchid Lights that I picked up in Next. I think they will look so magical come night time! Great scarf and the orchid lights are awesome!!! 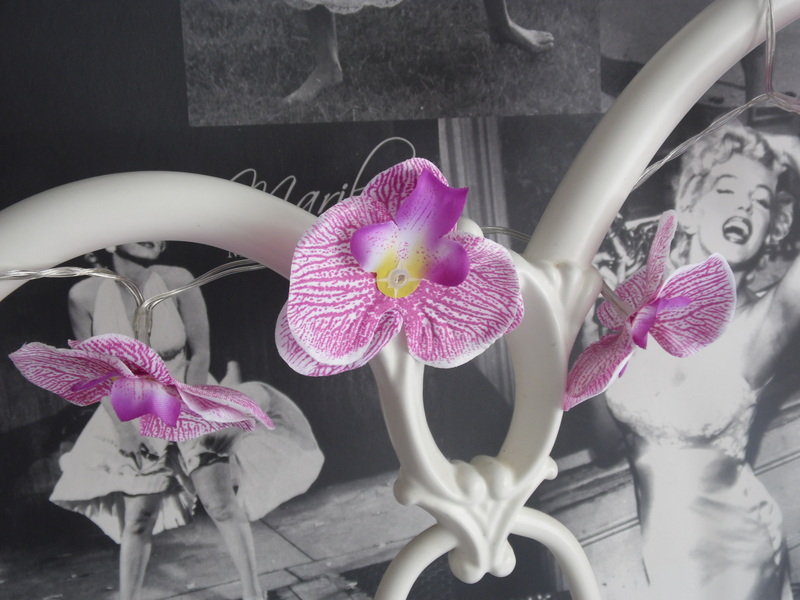 I love the orchid detail, so pretty! Ah, don’t you love a good Spring cleaning? It feels like everything is new again. Love that scarf!